Designed for easy use by both beginning and experienced protein crystallographers, the second edition of Practical Protein Crystallography is an essential handbook for any scientist interested in solving a protein structure. 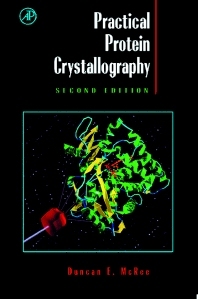 The book includes examples of actual experiments and data, electron density maps, and computer methods. This second edition has new material covering CCP4, SHELX, cryocrystallography, MAD and automated fitting.